The quintessential MBA degree once believed to be the passport to success is slowly losing its sheen. Today, when you suggest a graduate to go for higher education in management, the first thought that he or she is struck by is “to be or not to be” a management graduate from an Indian B-School, let alone a mediocre one because the reports about unemployable MBAs are mind boggling. Why has the tide turned? Why, once a sought after degree is today a course where youth is apprehensive to take the step further? The answer lies in the outcome of management education in India, which has been far from effective and has given rise to this dismal state of affairs where only seven percent of management graduates in the country find jobs after completing their course, barring those from the top 20 B-Schools (recent ASSOCHAM Report). Here lies the point - Management education in the country needs to be revamped to rise up to global standards and hone the skills of the ‘To Be or Not to Be’ A Management Graduate Prof. Anubhuti Dwivedi, Director, JP School of Business aspiring management students to make them industrious and meticulous enough; and to inculcate in them the business acumen and desire to be not only an employee but also an employer as a successful entrepreneur. There are certain points to ponder over for improving the standards and delivery of management education in the country. The discussion here is not about the institutes that are attracting the brightest minds, but about the tier 2 and tier 3 B-Schools, which are in need to reconstruct their very approach towards management education for creating value for their students. Most of the management institutes have in place the buildings or the edifices, as it is a mandatory requirement for establishing a B-School, though we still have a few which believe in evading even this bare minimum necessity of establishing an institution. Those that have the buildings too, however, do not have the infrastructure in terms of Library, Labs equipped with latest software for business analytics, databases needed for research and decent internet connectivity. Investing in infrastructure is essential to reap the benefits in terms of research output from faculty and making students aware about the dynamic business environment while making them industry ready using the technology. Under qualified faculty-resources are cited as the most common reason for substandard management education in most of the B-Schools of the country. The reason for hiring faculty who does not have to be paid high is that most of the owners running these B-Schools consider faculty as a mere facility for students to get study notes and understand some basic concepts, which would take more time for them to read from the book. The faculty is seen as someone who can engage classes and make students believe that education is being imparted to them. In reality, good B-School needs faculty resources, which are an inspiration in themselves, who can lead by example in making their students think out-of-the-box and create innovative solutions to business problems through impactful research. It is not just about having a doctoral degree, rather about having the teaching and research aptitude that leads to that degree and in turn motivates the students to dive deeper into the vast sea of possibilities and create their-own niche. Even the top B-Schools in India have focused more on analytical skills rather than soft skills. 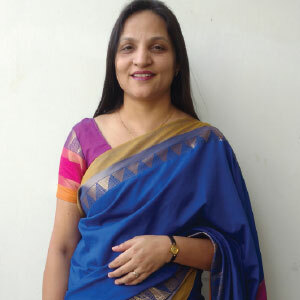 It is evident in the entrance tests of the most reputed B-Schools that their search is ultimately aimed at bagging the best analytical minds for their academic process. There is no doubt that a successful manager is the one who can analyze, interpret and conclude faster than the competitors, nonetheless he is also a leader and thus needs to develop soft skills in order to communicate well what he analyzes and make his team believe in his decisions. Managing change at all levels, whether internal or external, is at the core of a successful organization and for that, management graduates need to be trained for soft skills as much as for analytical skills. The best global management institutions require or prefer work experience of two to four years for joining their management programmes. In India, however, usually the students want to “complete” their education first and then join work. This leads to the frequent dissatisfaction of the employers as they feel management graduates from India need a lot of reorientation, as they do not understand the real work environment and are used to class environment of learning. Having work experience is beneficial as it gives an exposure to the real business world and application of management theories in practice. A class of students having prior work experience would surely be more interactive and learning from each other’s experience would be manifold.